All clinics have their own embryo grading system, and many are similar to each other. They all are meant to distinguish between good, average and poor-quality embryos. 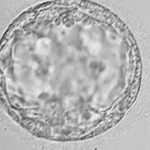 Embryo quality refers to the appearance of the embryo. 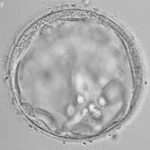 There are many other factors that go into determining if an embryo is of the “baby-making” variety that cannot be assessed just by looking at it through a microscope. 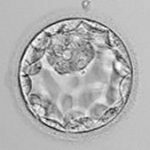 Day 3 embryos ideally consist of 6-8 cells held within an outer “shell” called the zona pellucida. 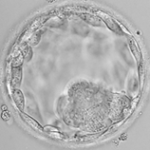 At this stage of development, embryos are graded on their rate of growth and degree of fragmentation. Most clinics use a grading system of 1-5 with 1 being the best (but some use 5 as the best). 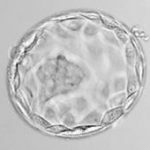 Day 5 embryos have a much more complicated system of grading, based on how expanded the cavity is with 5 being the most expanded, the inner cell mass (baby-making part) and trophectoderm (which makes the placenta) are graded on a scale of A, B or C with A being the best. 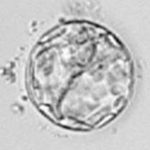 A grade of 4AA, for example, would be a blastocyst of very good appearance. Many clinics use this system. 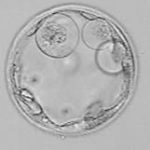 What matters when getting information about the quality of your embryos from the clinician or embryologist is if the embryos are good, average or poor quality.